Climate change is contributing the greatest loss of species that we’ve ever witnessed. Our rising population and hunger for land means means that creating homes and food for humans usually comes at the cost of homes and foods for other species. Artists are working to highlight the plight of our fellow creatures, giving them voice and creating connections and habitat too. 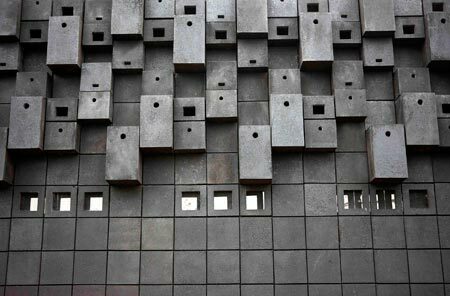 Animal Wall by artist Gitta Gschewendter is a large-scale public artwork that provides 1000 apartments for bats and birds. Situated along a 50 metre wall, Animal Wall was commissioned as part of a new residential development in Cardiff, Wales, and mirrors the provision of the 1000 homes for humans. 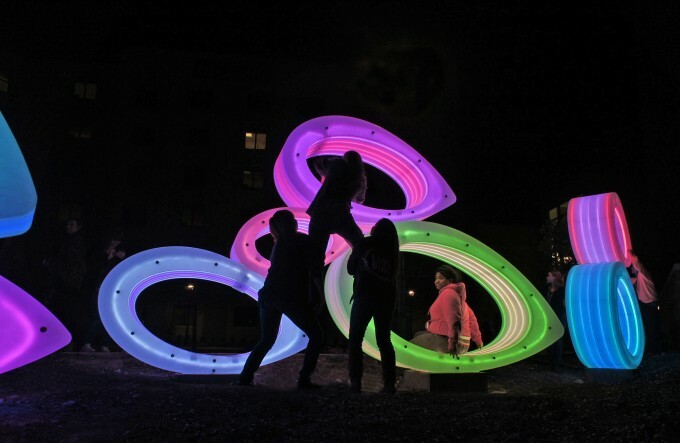 A direct response to the loss of natural habitat that housing developments are partially responsible for, the artwork contributes both practically and aesthetically to the needs of public space. 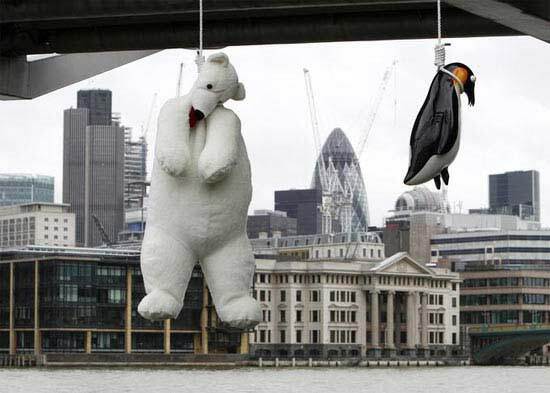 Taiwanese artist Vincent J.F Huang installed Penguin Suicidesunderneath the Millenium Bridge in London in March 2010 with a letter from �Penguins Representative Bureau of London’ appearing on his website to explain the creatures’ act of protest and personal sacrifice in the name of global warming awareness raising. 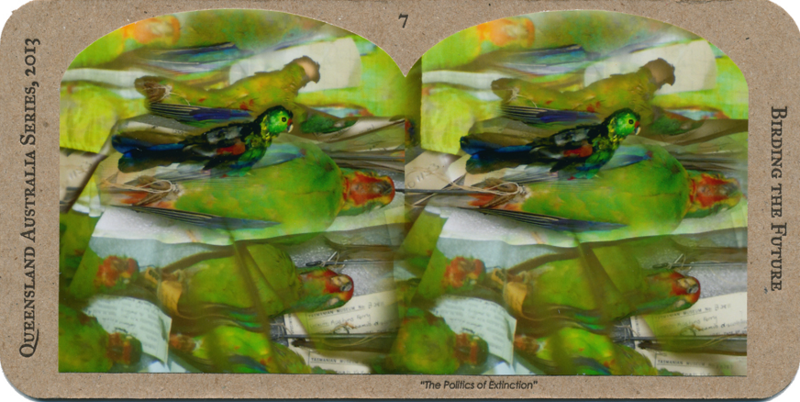 The plight of animals in the North and South poles is poignantly represented by this work, which attracted much attention.